The science that CO2 is a greenhouse gas and causes some warming is hard to dispute. The science that Earth is dominated by net positive feedbacks that increase modest greenhouse gas warming to catastrophic levels is very debatable. 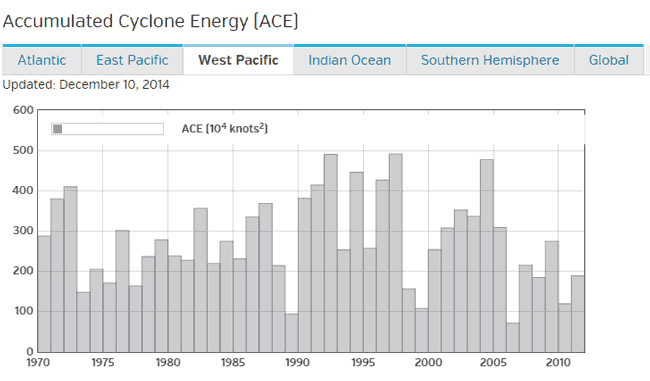 The science that man's CO2 is already causing an increase in violent and severe weather is virtually non-existent. Seriously, of all the different pieces of the climate debate, the one that is almost always based on pure crap are the frequent media statements linking manmade CO2 to some severe weather event. As the torrential rains of Typhoon Hagupit flood thePhilippines, driving millions of people from their homes, the Philippine government arrived at a United Nationsclimate change summit meeting on Monday to push hard for a new international deal requiring all nations, including developing countries, to cut their use of fossil fuels. It is telling that Ms. Davenport did not bother to link or name any of these scientific reports. 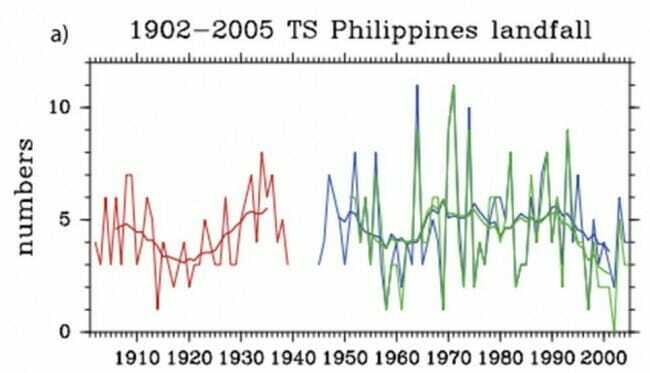 Even the IPCC, which many skeptics believe to be exaggerating manmade climate change dangers, refused in its last report to link any current severe weather events with manmade CO2. I am not a huge fan of landfalling cyclonic storm counts because whether they make landfall or not can be totally random and potentially disguise trends. 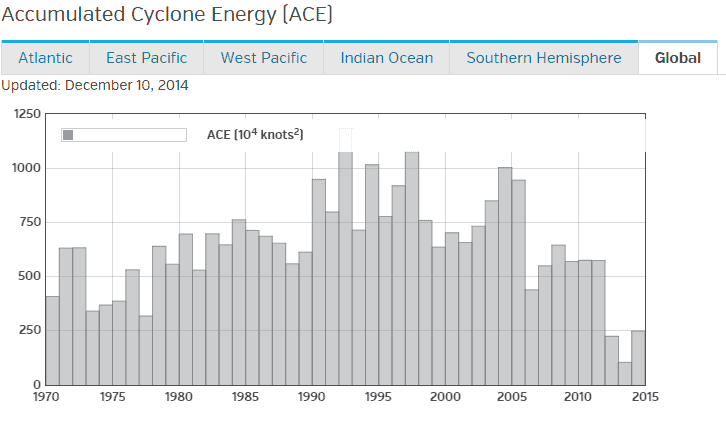 A better metric is the total energy of cyclonic storms, land-falling or not, where again there is no trend. Remember this when you see the next storm inevitably blamed on manmade global warming. 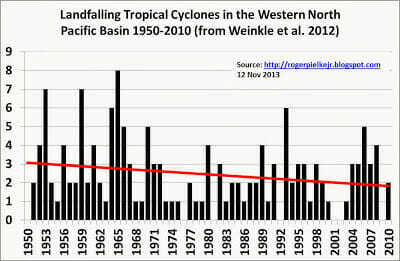 If anything, we are actually in a fairly unprecedented (in the last century and a half) hurricane drought.